Will you catch Venus and Mercury – the 2 planets orbiting closer to the sun than Earth – after sunset on March 3, 2018? If you see them, let us know! In early March 2018, you can use the dazzling planet Venus, the sky’s third-brightest celestial object after the sun and moon, to find Mercury, the solar system’s innermost planet. Do you have binoculars? 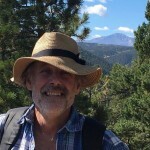 They’ll come in handy, as Venus and Mercury are only a little more than one degree apart – about the width of your little finger at arm’s length – around March 3 to 5. Venus and Mercury will remain close enough together on the sky’s dome to fit inside a typical binocular field of 5o for the first three weeks of March 2018. You might be able to spot both worlds now with the eye alone. If you spot Venus, but not Mercury, aim binoculars at Venus to see both worlds in a single binocular field. For the Northern Hemisphere, Mercury is just starting its best evening apparition of the year. Both Venus and Mercury are getting farther from the sunset glare day by day. View larger. 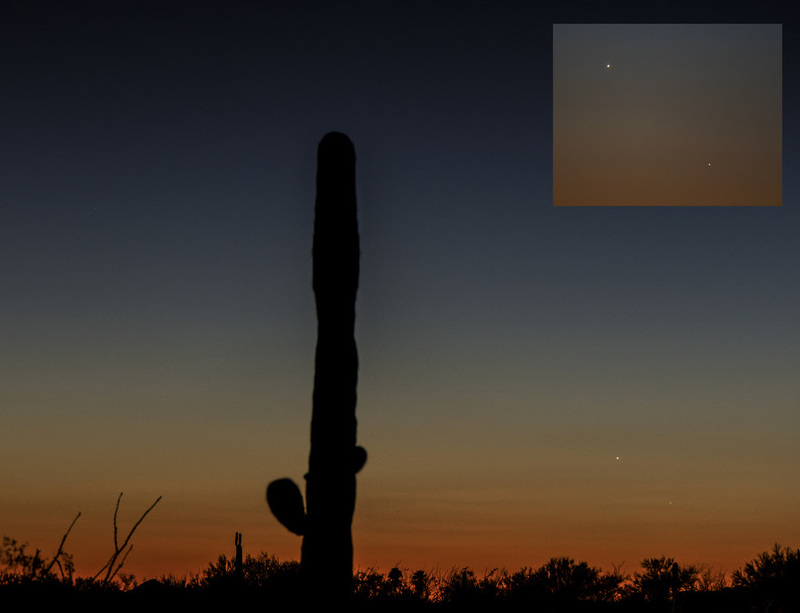 | Eliot Herman in Tucson caught Venus and Mercury on the evening of March 2, 2018. To see Venus and Mercury, find a unobstructed horizon in the direction of sunset. Then look for the planets near the sunset point on your horizon, beginning around 30 to 40 minutes after sundown. At mid-northern latitudes, Venus and Mercury set about one hour after sunset. At the equator, the twosome sets about 45 minutes after the sun; and at temperate latitudes in the Southern Hemisphere, Venus and Mercury barely stay out longer than one-half hour after the sun goes down. Click here for recommended sky almanacs; they’ll give you Venus and Mercury’s setting times for your sky. Mercury is considered the most elusive planet. But it’s not hard to see because it’s faint. Although Venus is about 12 times brighter than Mercury now, Mercury is the third-brightest celestial object to light up the (very early) evening sky right now. It’s only a touch dimmer than Sirius, the brightest star of the nighttime sky. Yet Mercury won’t look as bright as Sirius. That’s because Mercury has to contend with the dusky thickness of Earth’s atmosphere near your horizon. Again, binoculars can help. Throughout the month, Mercury will dim somewhat (because of its waning phase). Even so, Mercury will climb up higher up in the sky at sunset and stay out longer after sundown. Venus will do likewise, and that’s why both worlds will be easier to view later this month. In fact, Mercury will reach its greatest eastern elongation (maximum angular separation from the setting sun) on March 15, 2018. At that juncture, Mercury and Venus will stay out about 80 minutes after the sun at mid-northern latitudes. 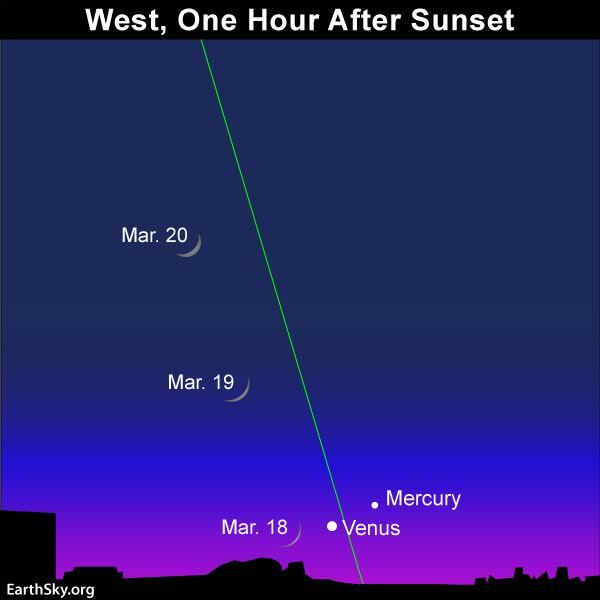 Watch for the young waxing crescent moon to sweep by Mercury and Venus on March 18, 19 and 20, as shown on the sky chart below. Think photo opportunity! Look for the young waxing crescent moon to pair up with the planets Mercury and Venus around March 18, 19 and 20, 2018! 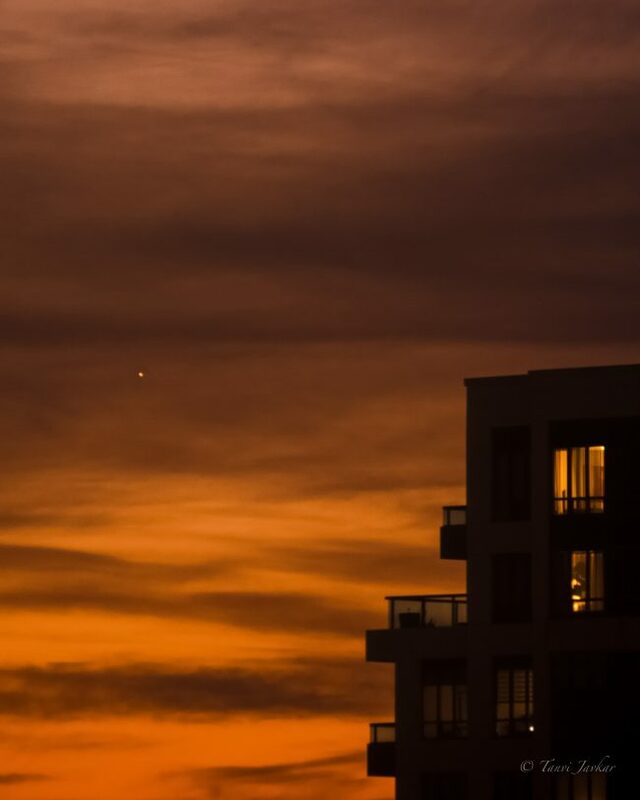 Tanvi Javkar in Mississauga, Ontario, Canada caught Venus after sunset on February 27, 2018. You’ll want a very clear sky all the way to the horizon in early March to see both Venus and Mercury. 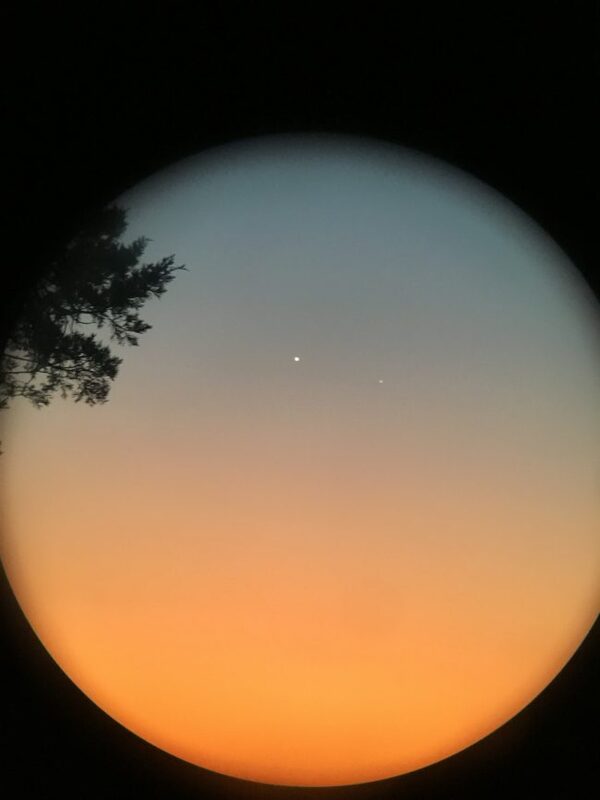 Bottom line: We’d love to see how many EarthSky readers catch the two inferior planets – Venus and Mercury – after sunset in the coming week or so. Let us know in the comments below.